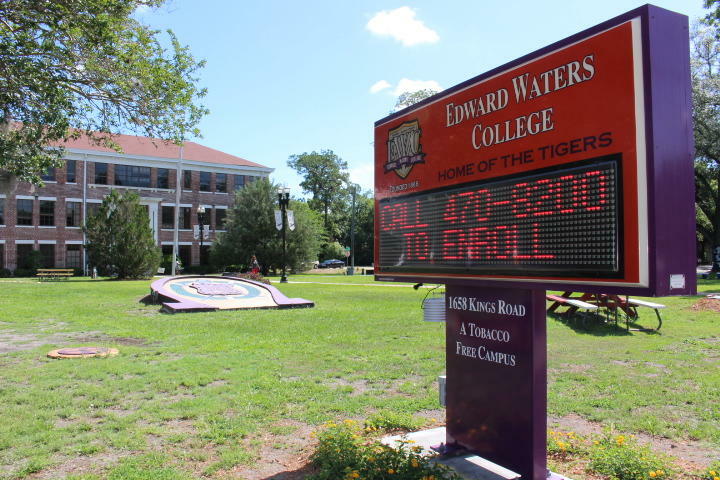 Edward Waters College, Jacksonville’s historically black college, has struggled with filling desks in the past, but it is reporting a dramatic increase in the number of applications submitted for its next school year. Walker says the influx of applications is the result of lots of hard work. Most EWC students are from Florida with about 19 percent from Jacksonville, so Walker says his team made a conscious effort to visit more high schools and build connections with potential students, which wasn’t easy for his small staff. Walker says once people learn about Edward Waters, they often find it’s a good fit. Because on one end of the spectrum it is one of the easier colleges to get accepted to. “If you have a 2.5 GPA [and] have taken the SAT or ACT, you’re already admitted to Edward Waters College,” Walker said. But on the other end, there’s an opportunity for students who graduate in the top 2 percent to go to medical school for free. But like all historically black colleges and universities, or HBCUs, Edward Waters has to overcome a common misperception. He says reaching out to other races has been a big part of recruitment. But non-HBCUs strive for diversity too. Sally Rubenstone is senior advisor at College Confidential, a college advice website. She says most colleges are seeking out minorities, which is one reason a lot of HBCUs are struggling. Rubenstone says students worry that going to a historically black college won’t be as appealing to employers. “So a common response is ‘Oh, well, I’ve never heard of that college,’” Rubenstone said. But she says smaller HBCUs are often a great option for students who are the first in their family to go to college, or students who want smaller classes. At Edward Waters, student Mike Williams was walking in the hall. He says he thinks he’d be less productive at a larger school. “I like their one-on-one teaching and that the environment here is great,” Williams said. He’s says he’s majoring in recreation education, and he hopes to become the athletic director at Edward Waters one day. Edward Waters’ goal is to enroll more than 1,200 students for fall semester. The City of Jacksonville celebrated Edward Waters College Day Wednesday, the 149th anniversary of the school’s founding. Mayor Alvin Brown declared the holiday in an official proclamation. EWC President and former Jacksonville Sheriff Nat Glover says the bravery of the African Methodist Episcopal Church in founding the institution can not be understated. Hundreds of Jacksonville high school students gathered at Edward Waters College Friday for the third annual Operation Save Our Sons Summit. The day’s events reinforced why the Summit was started in the first place: to challenge young men to think differently. 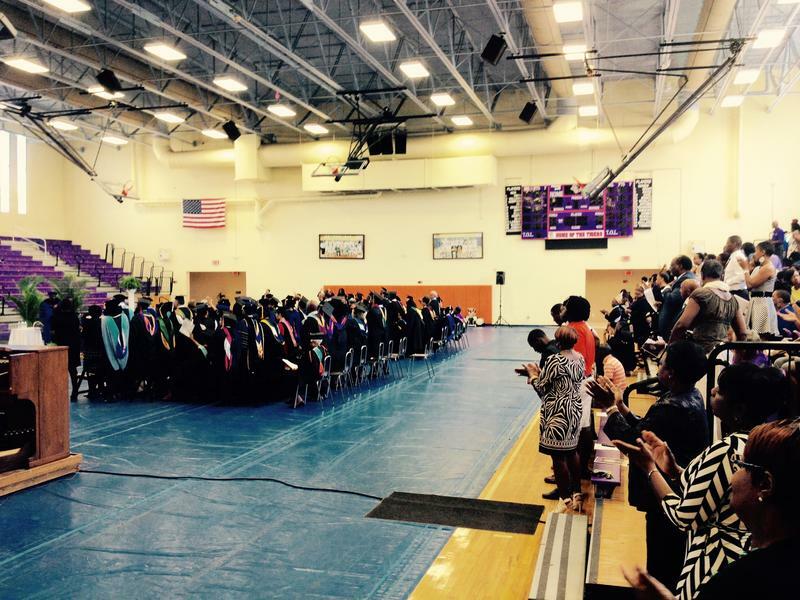 Historically black Edward Waters College on Jacksonville’s Northside has an additional $2 million to spend. As of Wednesday, a new historical marker stands on the lawn in front of the library at the Edwards Waters College campus.